Welcome to the first of 6 videos in the 24 tags of Christmas series! I’m using pups – there always seems to be a pup stamp set in the series, doesn’t there/?? 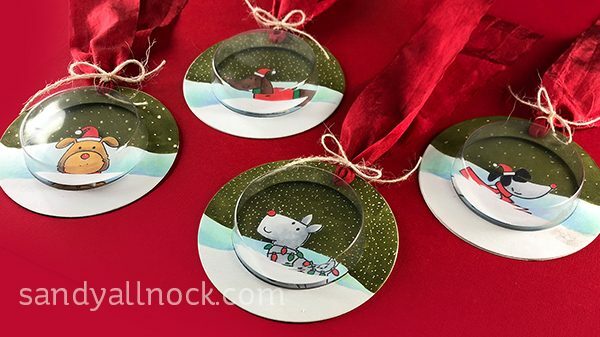 This time it’s MFT’s Deck the Howls, and I used the shaker pouches with them; you can also add shaker goodies inside but I just id some layered pieces to create little dioramas! Watch the video below or click HERE to see it in HD on YouTube. 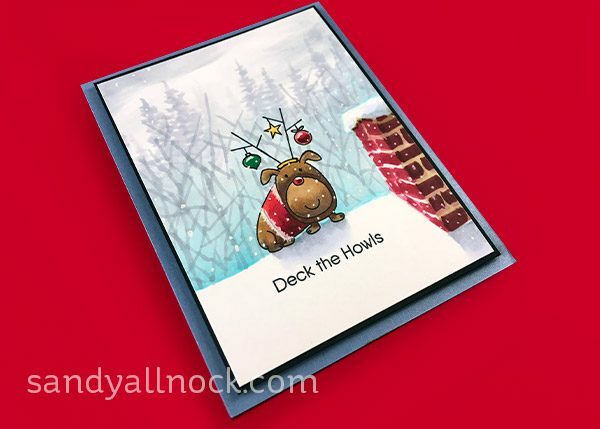 This little pup was a little too tall with his antlers on his head – so he made it onto a card instead. Complete with trees and a chimney from his rooftop perch! Stay tuned all week for bonus cards here on the blog that didn’t get done in time to put into the videos. This is the little Vienna pup….lookin’ all happy! 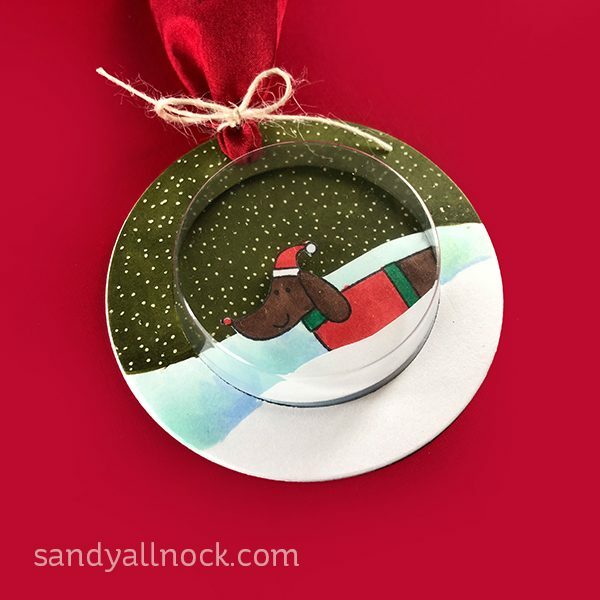 The wiener dog got a little more snow in the air….notice on these that I only put snow in the background behind the pups, where I normally add snow in front too. I left it off on these to be sure the pups were still the focus, but technically the snow should be all over! I colored this one like lil G. Who adores the snow. He’s never happier than if it’s up to his neck! Little grey pup got all wrapped up in the decorating! These are so cute. Thank you for sharing your talent. 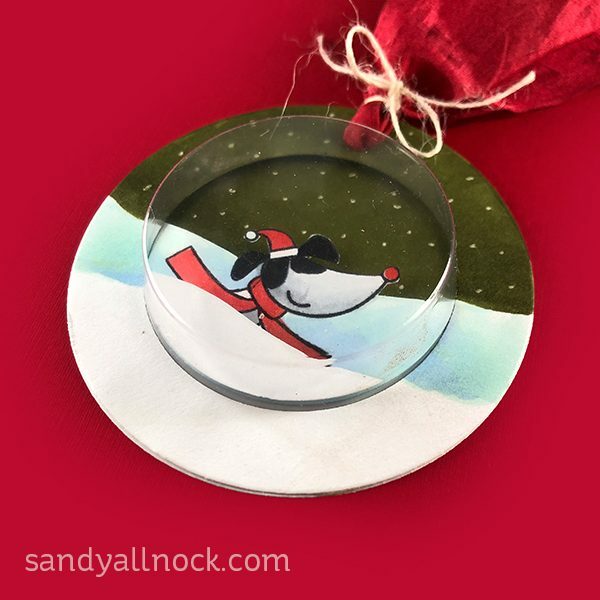 Thanks for sharing your wonderful creativity with us, Sandy! Absolutely adorable!! You are so talented. 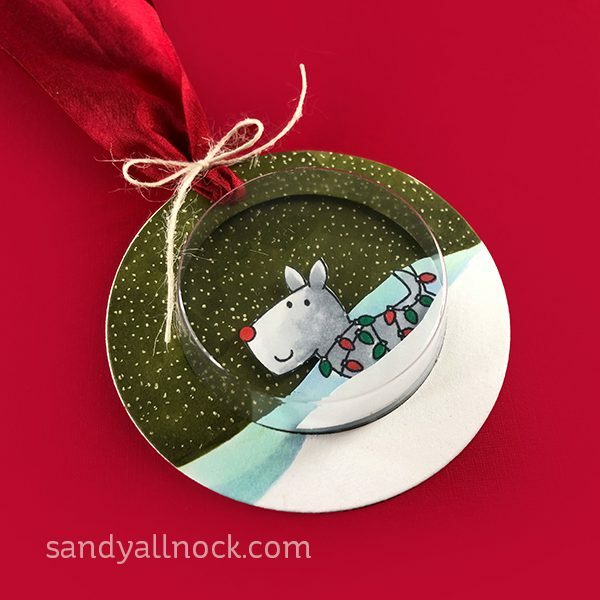 Delightful little tags for all my dog lovers!! Would have never thot! 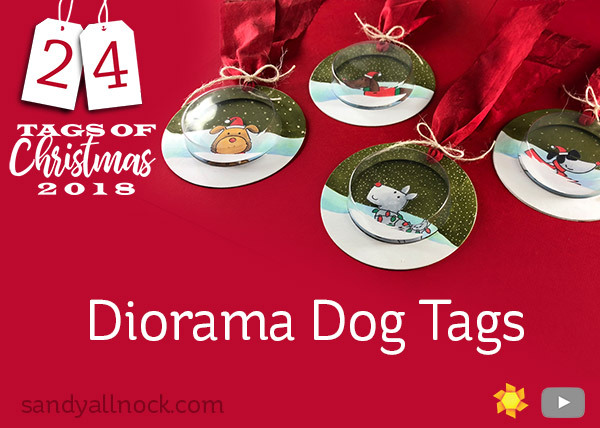 What a great idea to make diorama tags. They are beautiful! Thanks for sharing and for the chance to win.